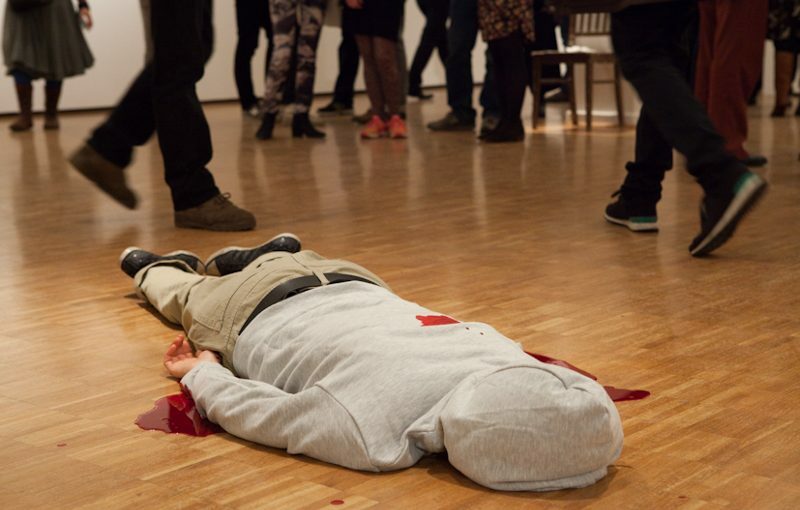 The performance reflects on the construction of the familiar and the alien, racism and voyeurism. 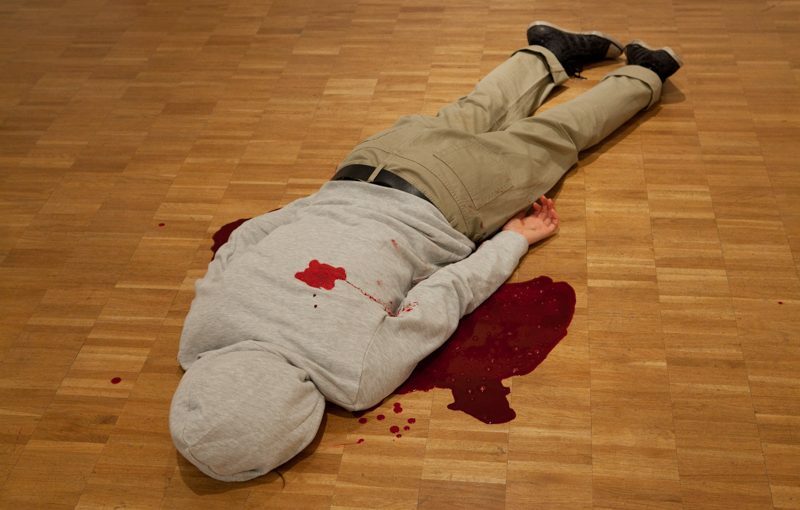 My body was laying on the floor of the exhibition space prepared with my own blood. 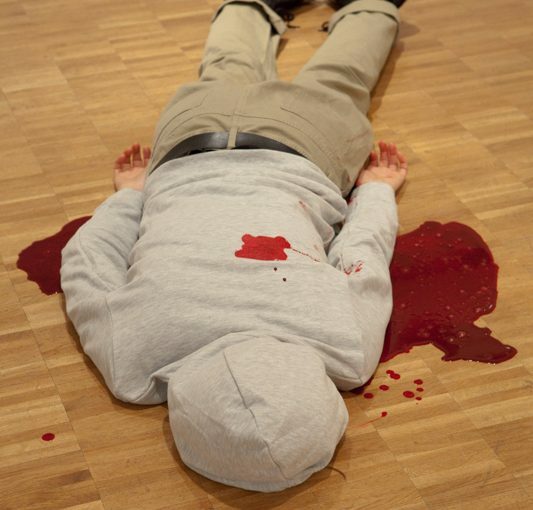 I was wearing similar clothes like unarmed 17-year-old Trayvon Martin, when he has been killed by a neighbourhood watch volunteer, murderer in 2012. 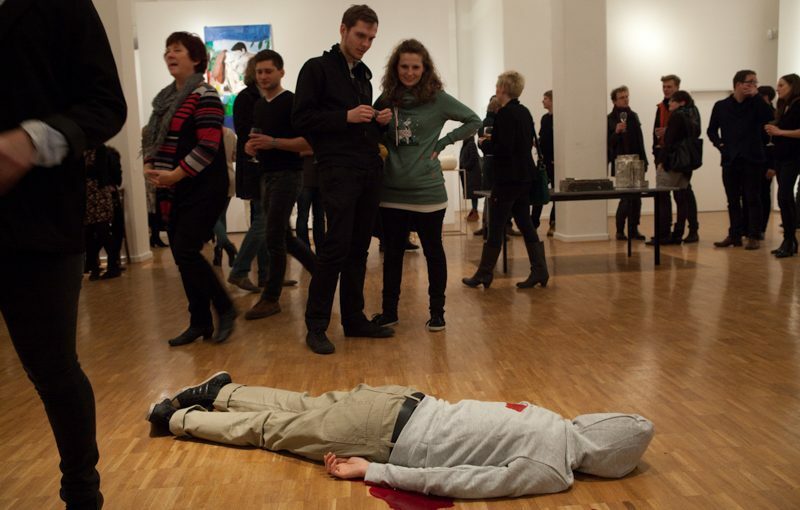 The hoody the boy wore on the day of his murder was used as a symbol by masses of protesters reclaiming justice and equal rights—the ‚million hoody marches‘ merged with the actual ‚black lives matter‘ movement.